Blues On The Green Returns! 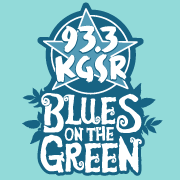 KGSR’s Blues on the Green returns to Zilker Park for its 25th season. June 3rd was the first official concert of the season and it featured Antone’s All Star Review hosted by Jimmie Vaughn with special guest Gary Clark Jr. For those of you new to Austin or haven’t heard of Blues on the Green, it is Austin’s longest running FREE music series. You can bring in two factory sealed water bottles, blankets, chairs, and your dog. My advice to anyone planning on attending this event, ride your bike, carpool, or uber/lyft. Traffic is pretty heavy around this area. If you’re living in Austin this summer definitely plan on going to this event at least once this summer. It really is a rite of passage for living in this great city!